Reports on new shooters taken to the range for the first, or nearly first, time. After suggesting, for years, that Maddy learn to shoot she agreed and yesterday we went to the range. On the way to the range I quizzed her on the gun safety rules. At first she struggled with rule one but had them down by the time we arrived. 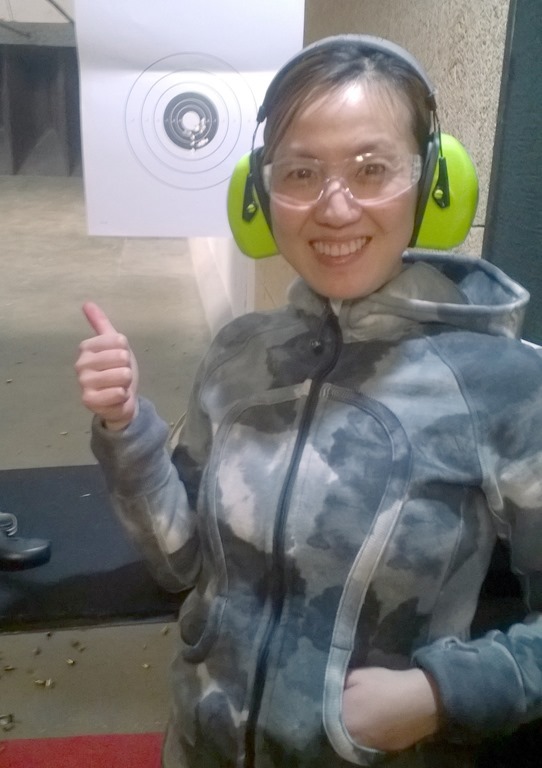 She had never touched a gun before yesterday but did awesome! 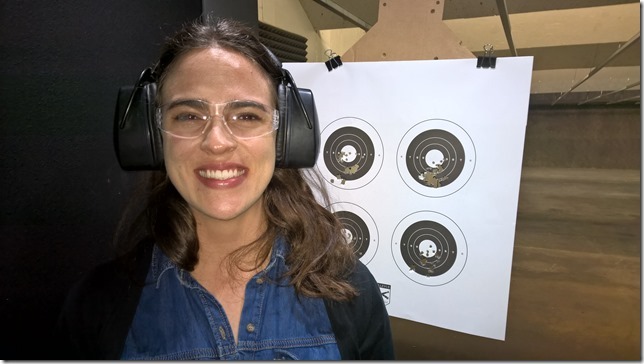 You could see her improve, literally, from one string of five shots to the next. It was incredible to watch. This is her first, approximately, 10 shots. The first round is in the white six-ring at about 6:00. The second as in the 9-ring at about 4:00. With only one other “wild” (for moderate definitions of “wild”) shot the rest all stayed in a tight group in the black around 6:00. 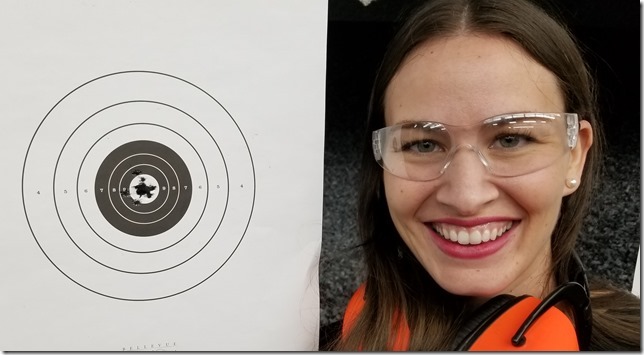 She is cross eye dominate and after shooting right handed for about 20 shots I had her shoot left handed to see how that would work out. She said it felt more stable but a bit awkward and went back to shooting right handed. I then asked her to speed things up. She continued to do well and I got out the timer and switched her to unsuppressed. It was amazing to watch. Nearly every string was more consistent and the splits tighter without a single miss. The hits were nearly all in the black. She blew past my prediction of something under 5.00 with a 3.77! 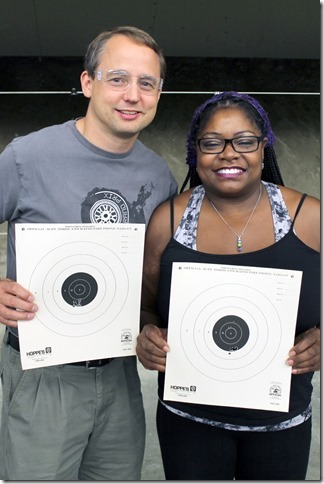 Recall that the last time I did this type of exercise with almost new shooters they best they did was 4.44 and 5.15. And what I didn’t mention in that blog post was they that would frequently have strings with one or more misses. Maddy didn’t have that problem and completely blew them away on time as well as accuracy. 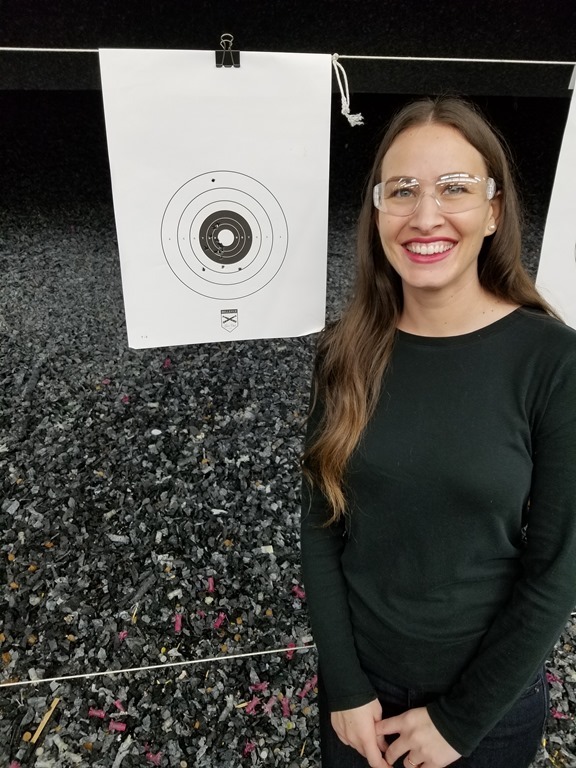 She fired about five shots, all in the black, then we cleaned up and went home where her mom marveled at how well she did and I announced she was “competition ready”. A few days ago a co-worker, Vic, told me he had someone call him up from “back home” (the Washington D.C. area). It was a young guy, Chris, who just got a job (Support Engineer) at Microsoft and didn’t know anyone in the area except Vic. So Vic has been “taking him under his wing” and helping him get settled in. 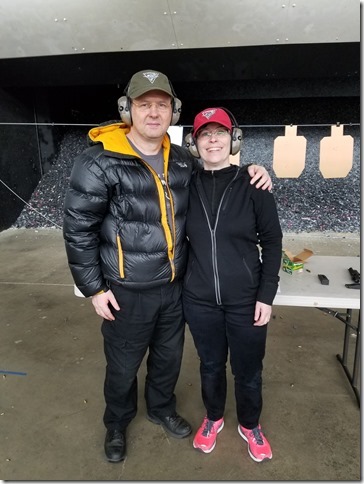 Vic asked if I would take Chris to the range and teach him to shoot and prepare him to participate in the Fun Steel match at Holmes Harbor Rod and Gun Club tomorrow. Vic has been wanting to go for several months but never followed through on it. This time, with Chris needing to do something fun and different over the weekend, it looks like Vic will be following through. Vic was in the Air Force many years ago and had mostly rifle training with a small amount of pistol training. 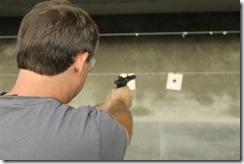 When I took him to the range he was using a “cup and saucer” grip and I offered some coaching. He readily agreed and he picked it up really quick. His accuracy was good and his speed was great for a relatively new pistol shooter. 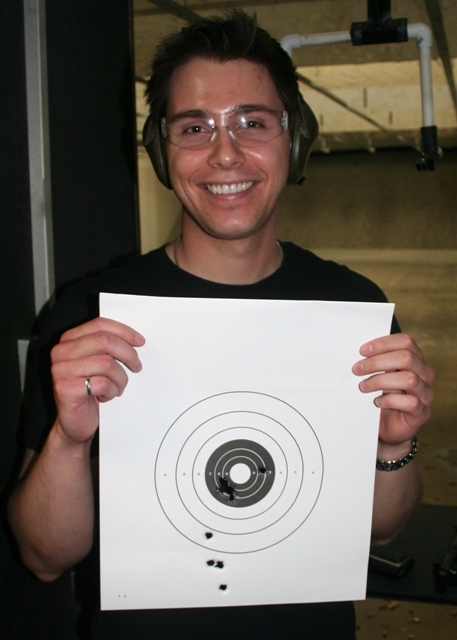 Chris, on the other hand, had never shot a pistol. He shot a little bit of rifle when in the Boy Scouts several years ago. We started out with the grip, stance, and dry fire. After about 20 “shots” with me chanting the mantra, “Trigger prep. Sight alignment. Squeeze. Follow through.” Chris got to the point where there were no noticeable wobbles of the gun as the hammer fell on the Ruger 22/45. I loaded the gun and told him to keep doing exactly what he had been doing. There wouldn’t be any significant recoil and the suppressed .22 would be very quiet. The target was at 3 yards and the first shots were just to the left of the bullseye. Out of the first 20 shots only one was out of the black with several in the bull (see the right target in the picture below). We brought the target back and talked a little bit about his shots. I told him things were looking good and to add something new. Keep his focus on the front sight at all times. He took another 20 shots. 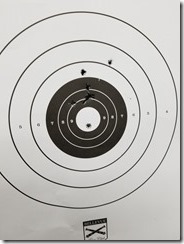 It was a much tighter group with more shots in the bull. I took the suppressor off and told him we were going into competition mode. I had him start with the gun pointed at the floor ahead of him, told him about the range commands for steel matches, and told him to shoot five rounds, hitting three targets once and one target twice. His first string was almost funny. He was a little too excited and only put holes in the general vicinity of the targets. I told him to calm down a bit and remember the mantra, “Trigger prep. Sight alignment. Squeeze. Follow through.” for every shot. The next strings were much better. 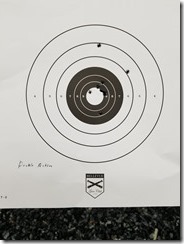 He shot about another 60 rounds at various ranges as if they were strings of fire for the steel match and only had about a half dozen misses. I used the shot timer for about half of those and we could see his times getting better while maintaining good hits. He is very unlikely to win the match tomorrow but I think he will do well enough to feel good about the experience. Zero to match shooting in less than 24 hours! Kelsey recently joined my team at work. Like Caity, when she first joined the team full time, there was a minor flaw. Everyone else on our team knows how to shoot and enjoys guns. Kelsey is very quiet and difficult for me to read. I wasn’t sure whether to discuss this issue with her or not. 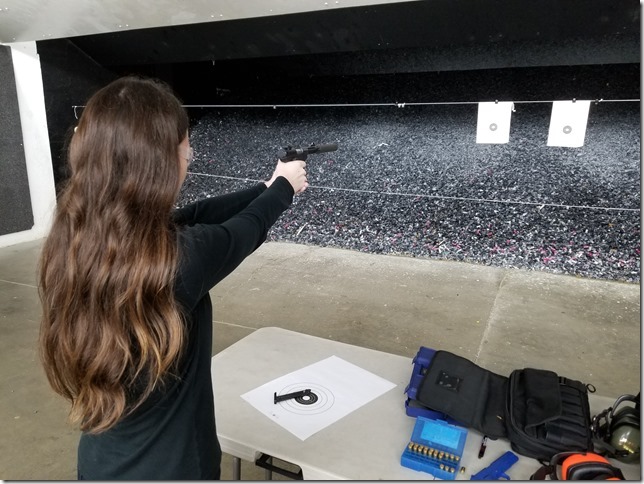 Over the course of a few weeks it came out that she was interested in learning to shoot so I reserved the training bay for 12:00 –> 2:00 (they only do two hour blocks) today. It turned out our boss gave us all the afternoon off since we have to work part of Sunday this weekend so Kelsey and I weren’t rushed when we visited the range. I started her out with a suppressed Ruger Mark III 22/45 with subsonic ammo at five yards. The first eight shots were the three at the bottom, and then a vertical hole of five shots you could cover with a nickel. The one wild shot at the top was near the end of the second magazine. Again, a couple wild shots near the end of the string. But the rest of the shots are really rocking it for a new shooter with any handgun, let alone a double action revolver. She learns fast! 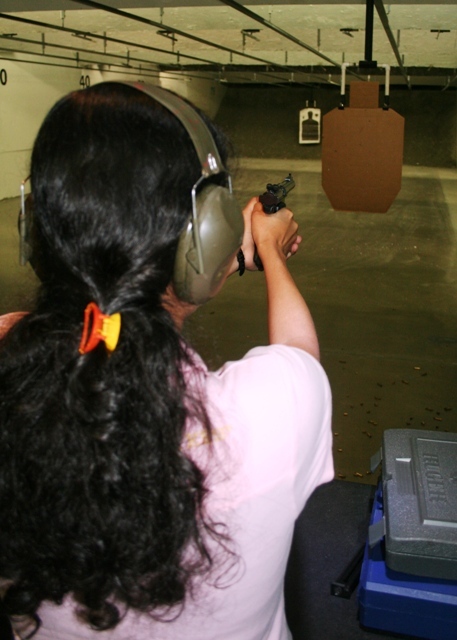 I gave her a choice, learning to shoot faster, move to a larger caliber gun, or more precision shooting with the Ruger. 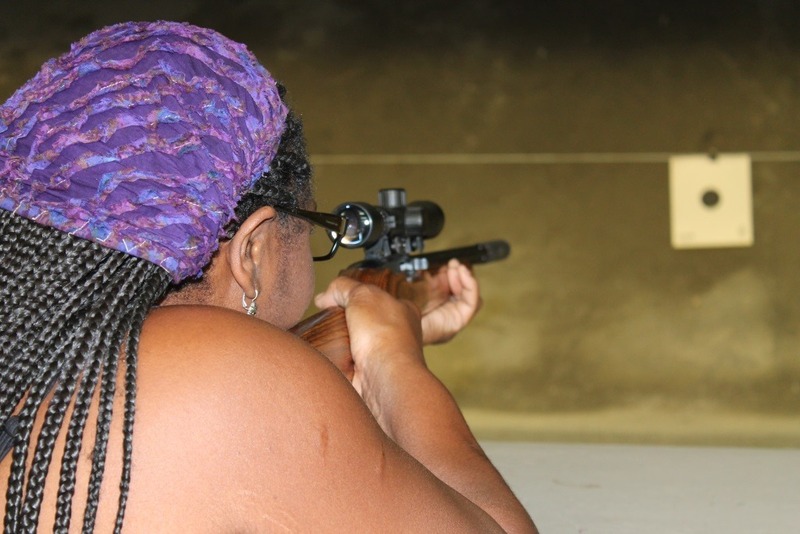 She choose more precision shooting with the semi-auto. These were shots 37 through 46 in her entire life. She only once even held a gun in her hands before (so she says). Okay. She’s a pro. There is nothing I can teach her about this type of shooting. We have to move on to something else. She is going to get bored putting so many bullets through a single hole. 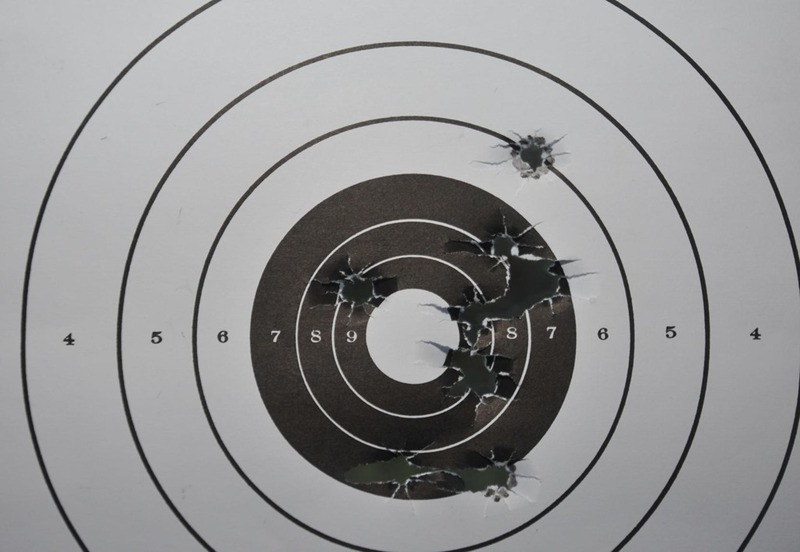 I put up a paper with four bull’s-eye targets and told her to put one round on each bullseye. Keep it in the black or smaller, but shoot faster. She did a couple strings of five shots each. 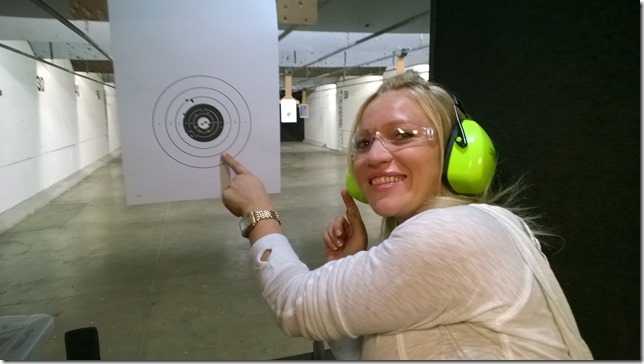 She shot quite a bit faster, but about half the bullets were in the 10 ring. I told her she can go faster still, “Just keep them in the black. 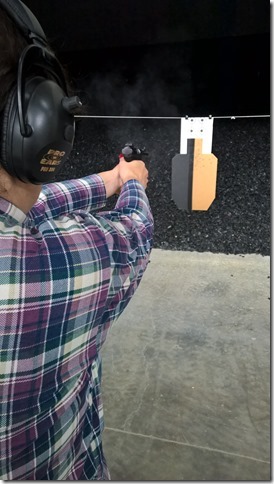 As soon as the sights are lined up somewhere within the black, squeeze off the last 20% of the trigger pull”. “Oh”, she replied, “I can do that.” And she did. Hmm… I need to push her more. 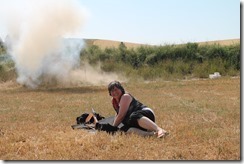 I pulled out the shot timer and went through the range commands with her: “1) Make ready. 2) Are you ready? 3) Standby…BEEP!” Got that? Good. Let’s try it. And I finally pushed her into failure. 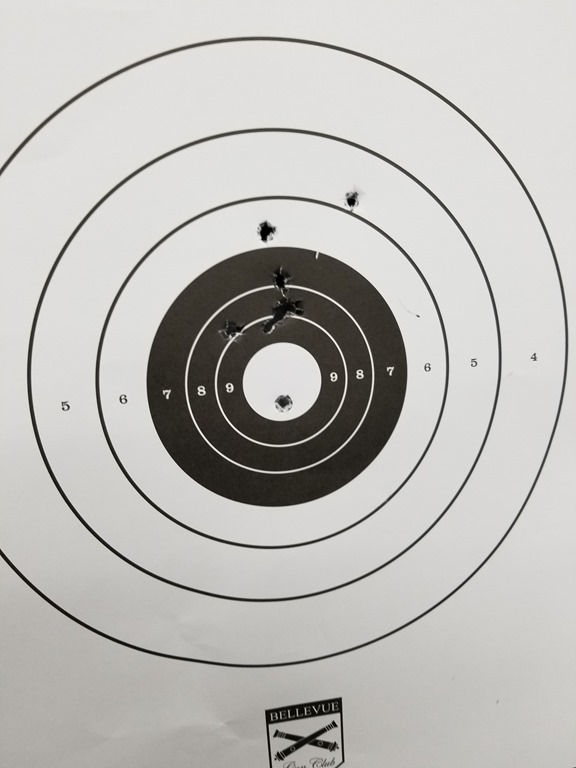 With four shots, one bullet barely nicked the bottom of the paper, and one missed on the right side of the paper entirely. Ah! Now we have something I can teach her! 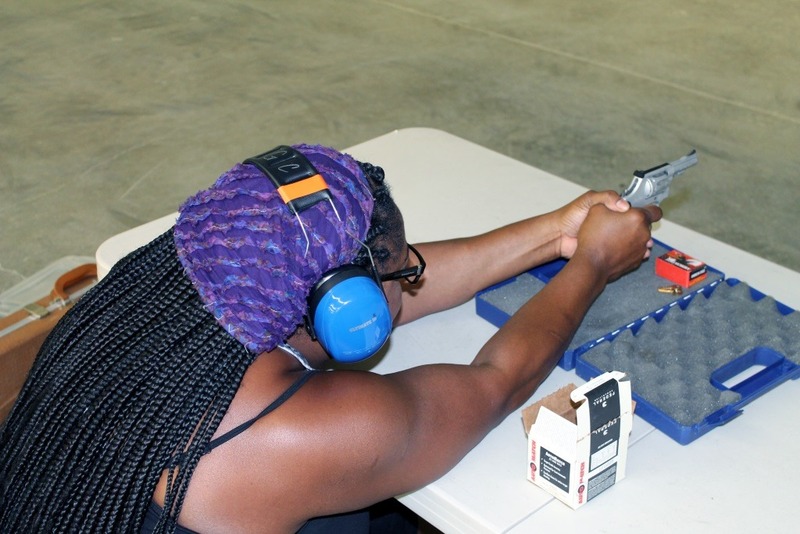 Shooting fast, particularly in competition, is a mind game. A little bit of stress can make everything fall apart. Don’t let the timer or the shooter next to you, with their own set of plates competing for the first to complete, affect how you shoot. 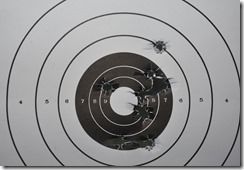 You shoot your targets your way, just like you did in practice. Let’s try it again. She got it. From the low ready she was able to get five shots into five targets (one of the targets twice) in six point something seconds. All her splits were less than a second. 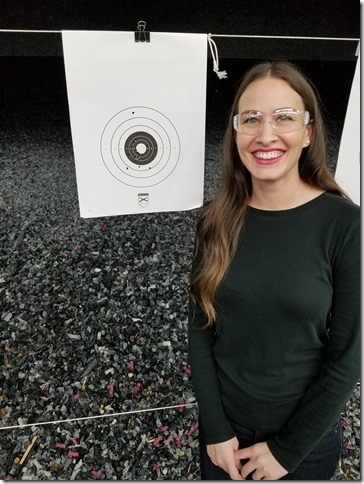 We had used up all our range time so we cleaned up the range and as we returned to the lobby to wash up I asked her to walk slowly past the shooters in the next bay and look at the targets the other shooters were producing. I told her, “There won’t be any targets even close to what you did today”. I was right. 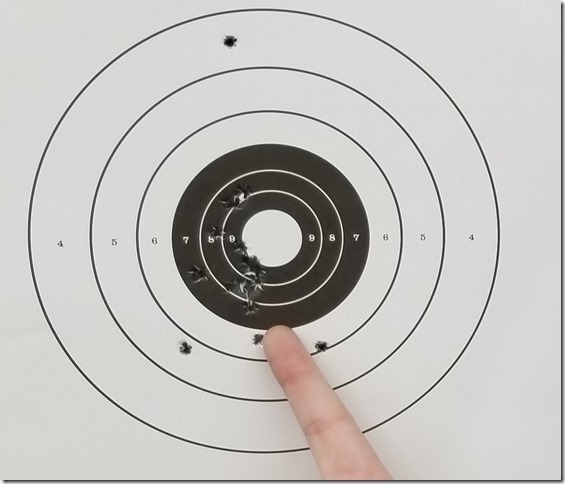 There wasn’t a pattern on any of the targets I could have completely covered with both of my hands spread wide. Paul and Louise visited us from Canada this weekend. Paul was in the U.K. military and had a fair amount of experience with rifles but very little experience with handguns. Recently they purchased handguns and took some classes. Then Paul decided he would like to get into reloading. I showed them my reloading set up and talked quite a bit about it with them. 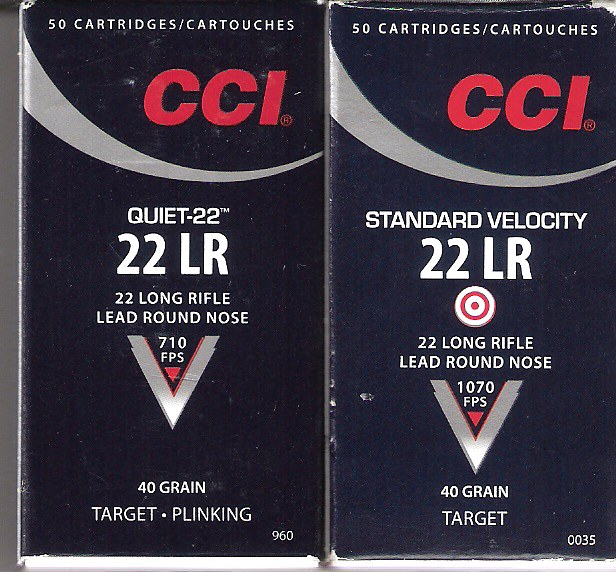 Why I reload, some tips on reloading he probably won’t find in the YouTube videos, and why I have some of the equipment. 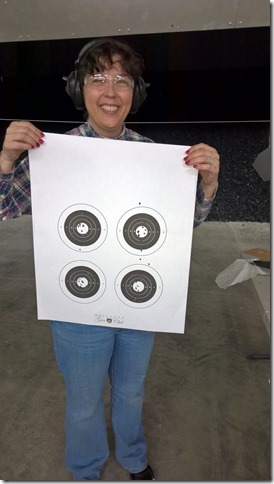 Barb and I took them to the range and Paul had his first experience shooting an AR and Louise shot a rifle for the first time. 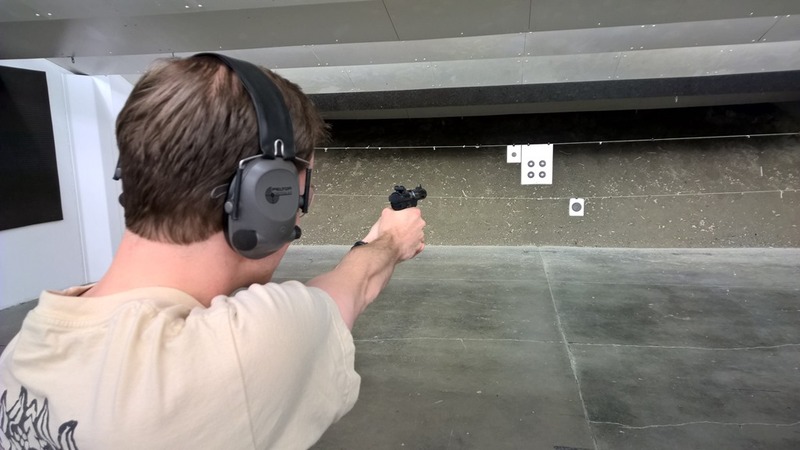 Among other firsts were shooting a gun with a suppressor. I did a little coaching with Louise but Paul was doing very well without much input from me. We probably went through about 400 rounds total of .22LR and .40 S&W. It was a good day and you can see the indicator of that with the new shooter smile on Louise’s face. 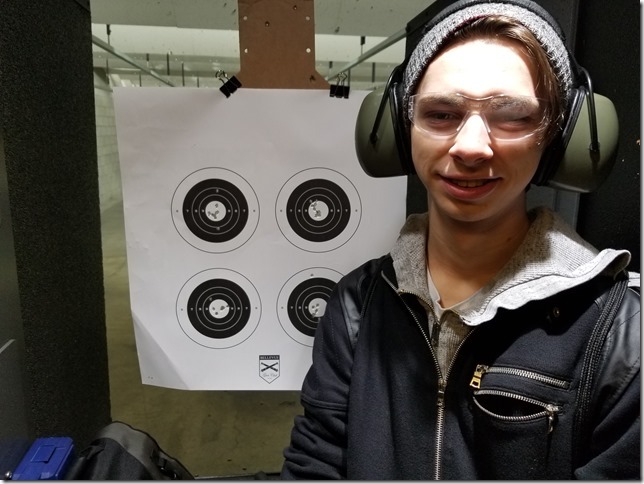 I took the son to the range today. Not the first time, but we have not been there very many times yet. It was the first time he has fired a center-fire semi-auto handgun. A generic 1911, using standard white-box 230 gr hardball. He had a pretty shot-up target already from the .22 and the 38 special, and we couldn’t tell where he was hitting, so we put out a new target. 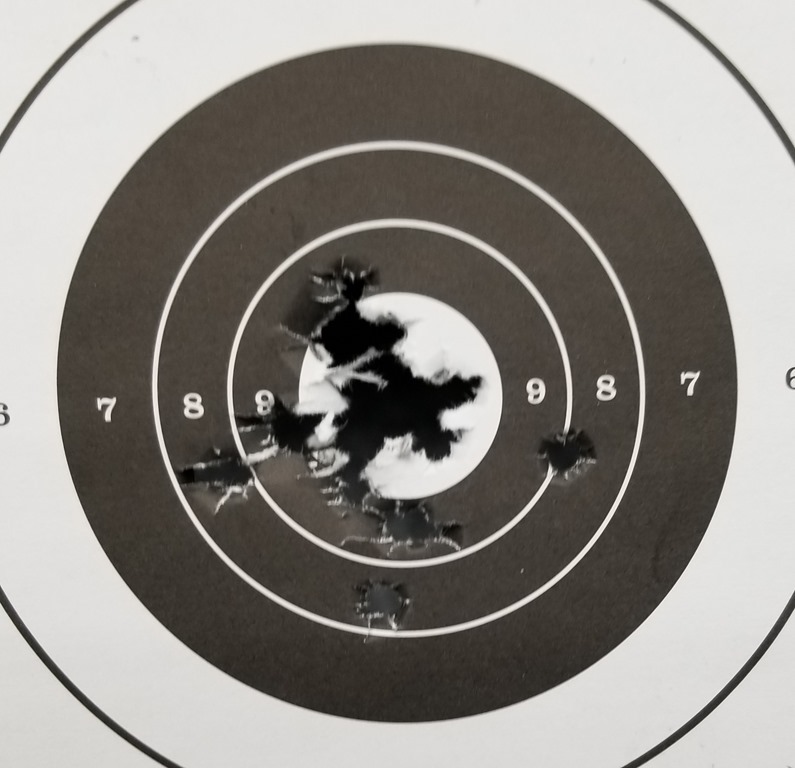 This is the result of his next ten shots at 7 yards, loading the magazine one to two rounds at a time, being very safety conscious and paying attention to stance and grip. Not bad… for an 11 year old. Very nice. Even if it had been a adult it would have been good for that level of experience. 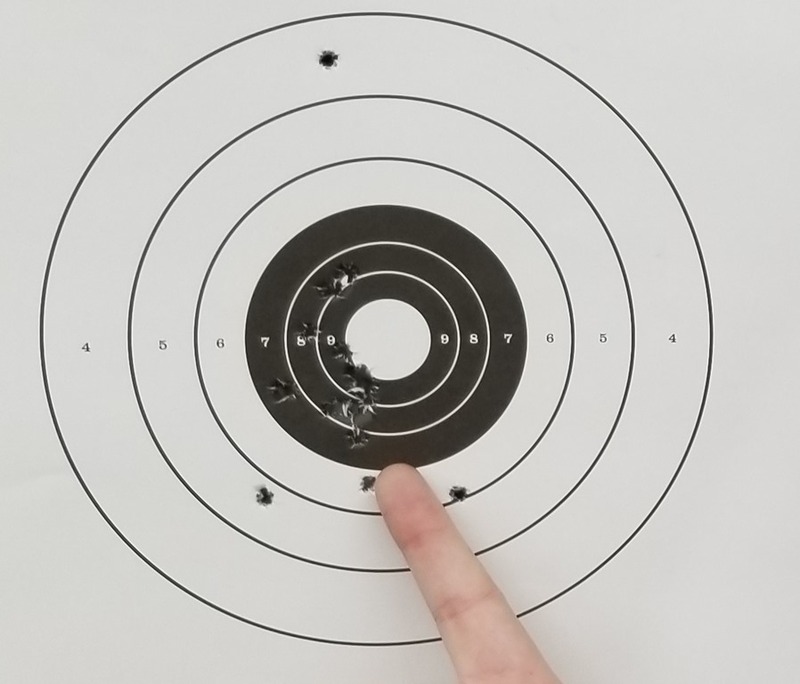 I did a little coaching for a friend I bumped into at the range today. 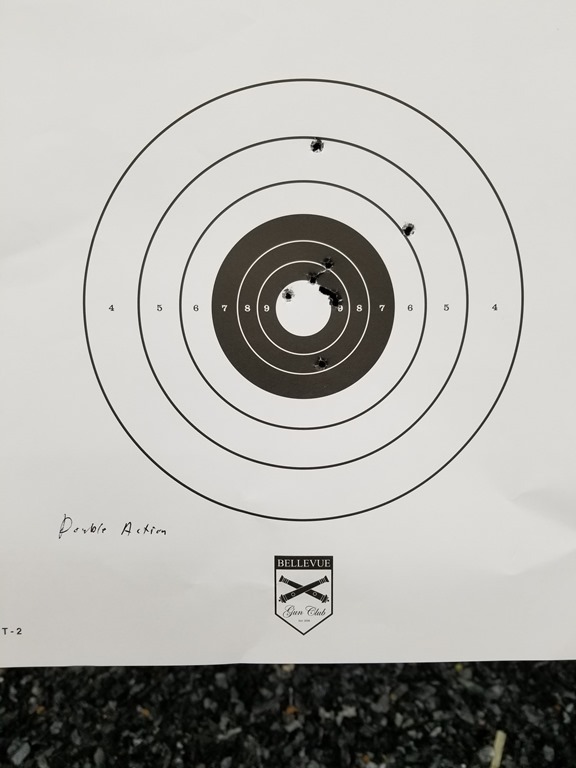 He was shooting a Smith & Wesson M&P 45 at about 7 yards at what looks to be the same size target and only about half of the bullets were within the rings. His grip and stance both needed some help. 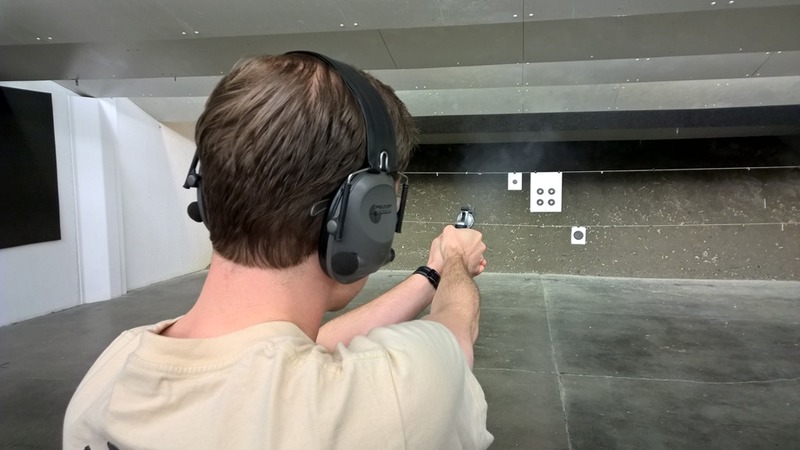 I then had him doing some dry fire to make sure his trigger control was good. I spent about 20 minutes with him and he was shooting much better when we left but it still wasn’t up to the level of our 11 year-old star above. They’re coming to grab your guns. They’re your friends, family, loved ones. Even strangers will do it, if you let them. Some reporters have been known to do it, too, if you invite them. With your permission, these people will take your gun, gently, from your hands into theirs. Shoot, they will. Learn, they must. They will touch your gun all over. And another one. And another one. And other one. So many makes, so many models! Questions will be asked, probed. They’ll load your gun, but certainly won’t loathe your gun. They’ll ooh, ahh, ogle, and be in awe of your gun(s). It goes unsaid, but for those who don’t know: you will teach them to keep it pointed in a safe direction. They might even “borrow” your ammunition. And leave behind the brass. 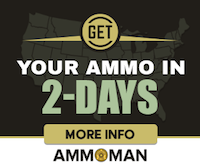 Though your ammo will be spent, you’ll oftentimes expect no reimbursement. When the moment, or day, or shooting weekend is over, they’ll express gratitude, then return your tool, graciously. You’ll clean the instrument, without minding at all. Not only is an armed society a polite society, it’s a gunsharing, caring society. If you’re a righteous gun owner, you’re essentially part of the gunsharing community. 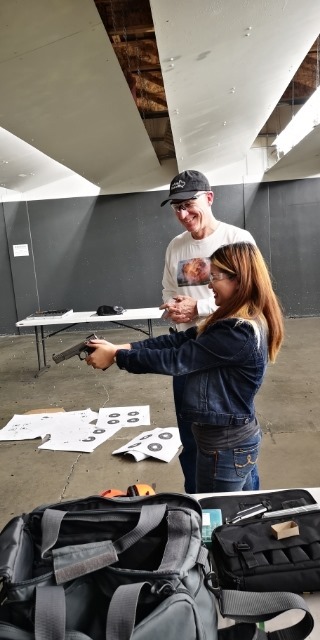 Gunsharing is a voluntary, legal activity in which one person owns and shares their gun(s) with one or more people, whilst providing gun safety teaching, free of charge. This is done out of compassion, because gun owners care about sharing their knowledge, skills, and tools. After gunsharing, fellow gun users will want to grab your gun. Because it’s so much fun. Safe, too. Gunsharing is it’s own little sharing economy of sorts. This post goes out to all the men and women, who, over the years, have allowed me to familiarize myself with their magnificent tools. Thank you. And you. And you. And you. Readers, what kind of guns have you legally borrowed from other righteous gun owners? I’m bracing myself for a looooong list. Let’s hear it. Tell the gun grabbers just how far – and how safely – one gun goes. Oh, look… the hashtag’s registered at Twubs. How nice. Remember new shooters Kurt and Tracie? 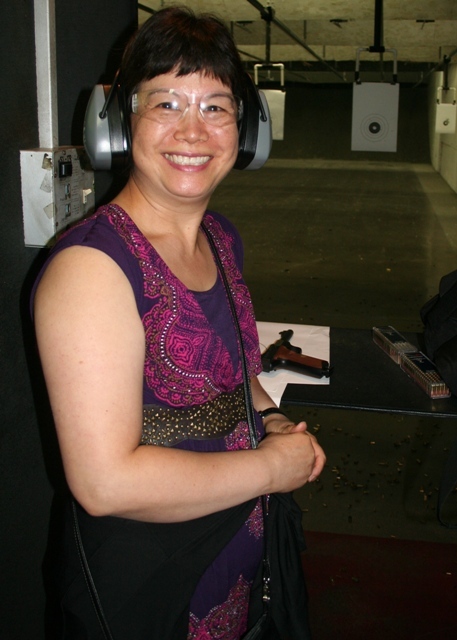 Yesterday they went to the range with Barb and me. 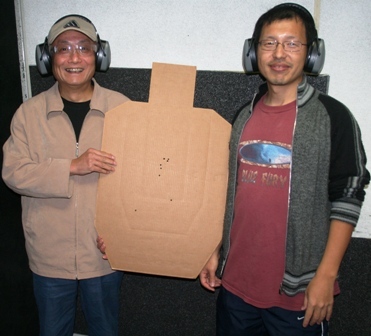 They haven’t purchased a gun yet but they have been looking and test fired two guns they rented at the range. 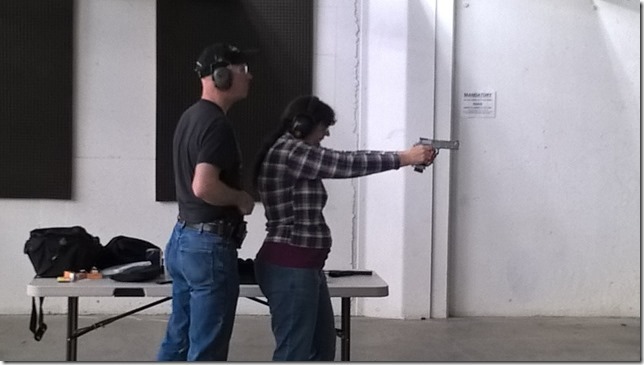 Kurt has applied for his concealed pistol license and Tracie was asking good questions about shooting in self defense. They went through 500 rounds of .22 LR, 100 rounds of 9mm, and about 20 rounds of low powered .40 S&W. This is how we win the culture war. Some friends wanted to learn to shoot so Barb and I reserved the training bay at the indoor range near us for late Saturday afternoon. I was surprised to find both of them were right handed but left eye dominant. Many people who are cross eye dominant end up shooting with the hand which matches their dominant eye (daughter Kim is an example). 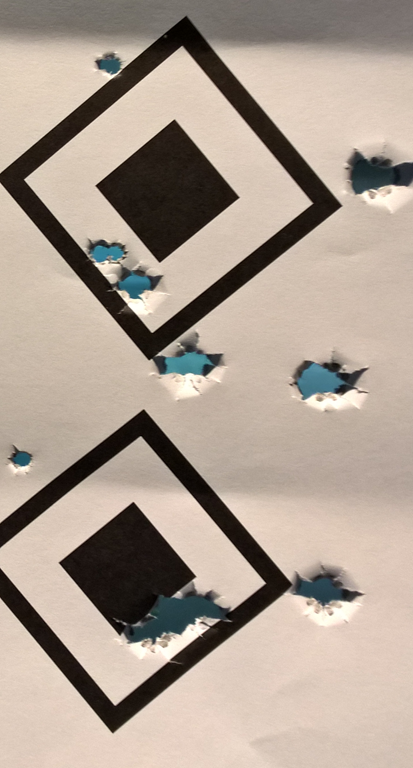 I put them at about 5 yards from the targets and gave them stance, grip, and trigger operation instructions. I started them out shooting left handed for a couple of magazines of .22 with a suppressor then had them try shooting right handed. They both opted to continue shooting right handed. 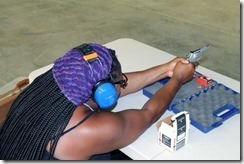 As they continued shooting I showed them how to load the magazines and operate the bolt (Ruger 22/45s) and safety. 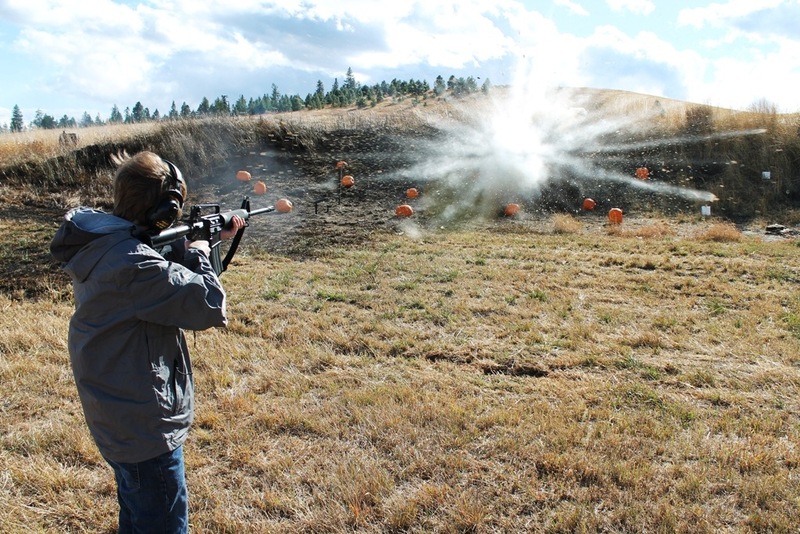 They shot a few hundred rounds of .22 with both suppressed and unsuppressed semi-auto pistols on single targets as well as multiple bulls-eye targets. 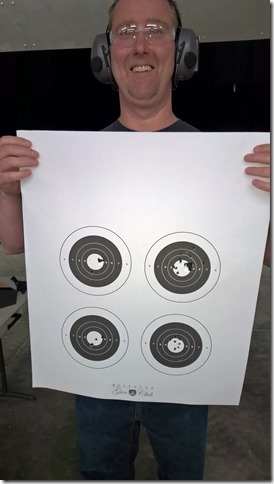 We then put up USPSA targets with “hard cover” and had them shoot two shots on the same target starting from the high ready position. We also put up barricades for them to shoot around at multiple bulls-eye targets. I offered them some low powered .40 S&W loads. They did fine with those. I offered them full power loads. They did fine at first but then started to falter with some of the shots going a bit wild. The shots were still on the paper but off the target so to finish up for the evening I put them back on .22s. We ended with them saying they had a really good time, asked about the class Barb recently took, and said they wanted to do it again with us. 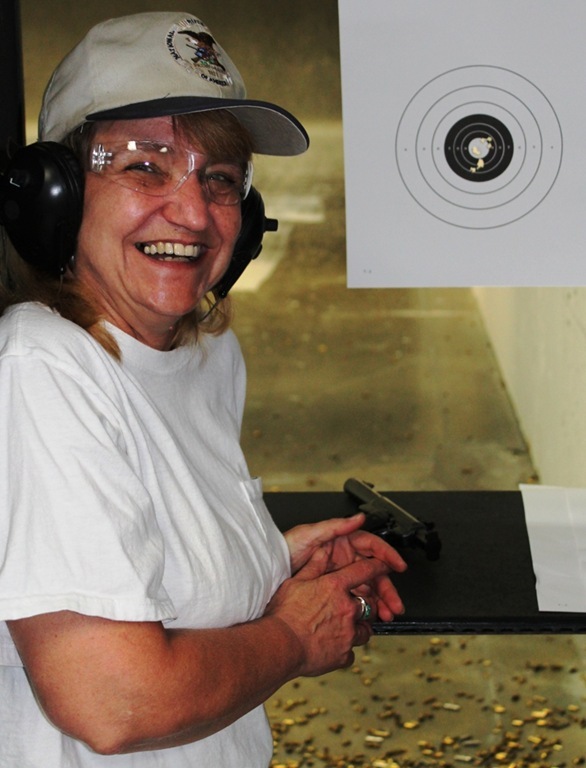 Tracie with her new shooter smile. Kurt with his new shooter smile. Remember the student shooter who was having trouble handling the .40 S&W her husband bought her for self defense at home? Remember the light loads I was working on so she could handle the recoil better? 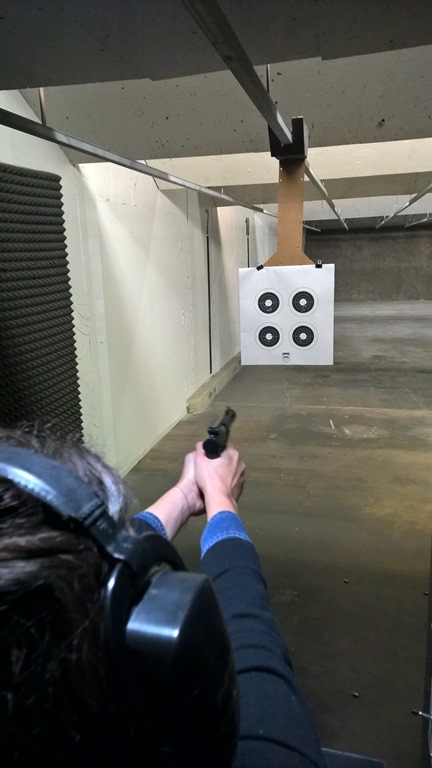 Yesterday she and her husband went to the range with Barb and I. 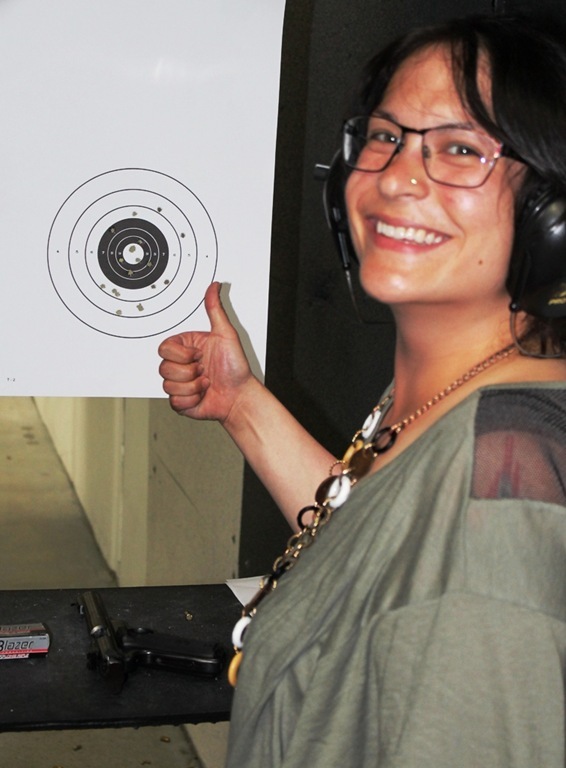 She shot a Ruger SR22* with a suppressor and did great. 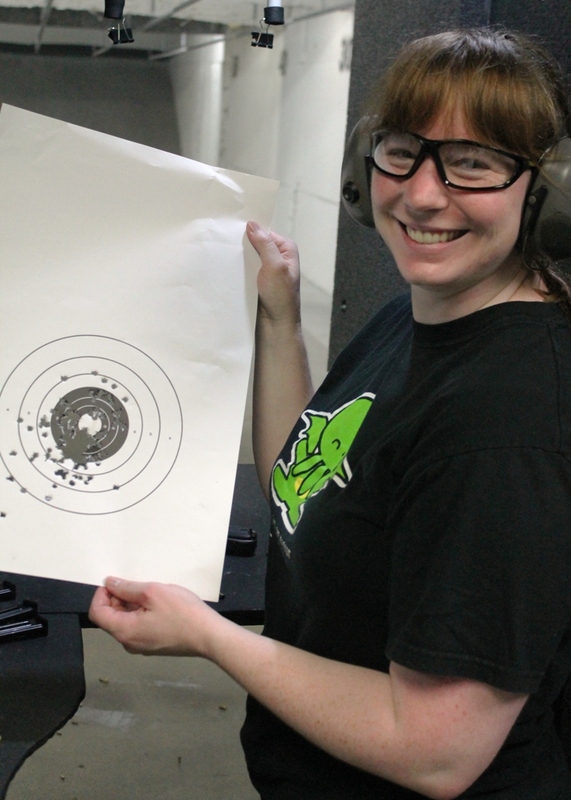 She shot it without the suppressor and did great. 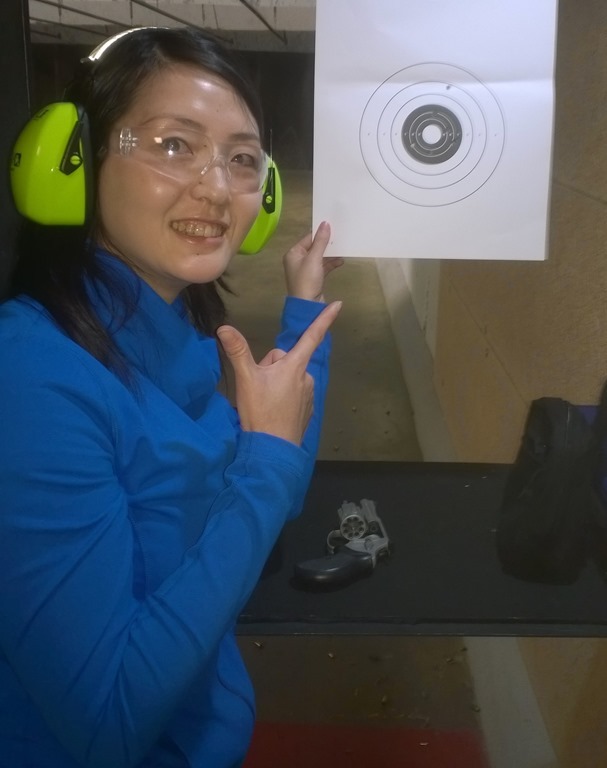 She really liked the Ruger Mark II. And she shot my gun I have had all the problems (also here) with. With about 100 rounds through it yesterday there was only one failure to feed. 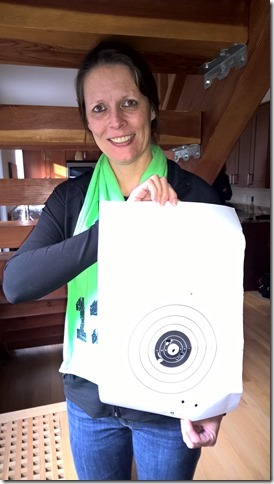 Her husband tried the .40 S&W with the two different light loads. 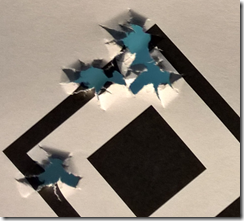 The 148 PF (in my gun, probably less in theirs) worked fine. The first round of the 131 PF loads failed to cycle but worked okay after that. I sent them home with 100 rounds of the 148 PF practice ammo. And now I’m going to load up some of the self-defense Gold Dot Short Barrel bullets in a similar load for them. 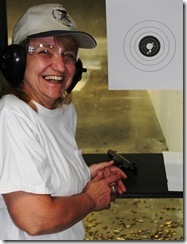 Barb handled the 131 PF loads in my gun just fine too. I might load up a few for her self-defense needs as well. 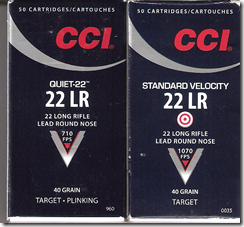 * The SR22 wouldn’t cycle when using CCI Quiet-22 ammo. But it worked great with Standard Velocity. But wow, was it ever quiet. Cherie has done some shooting before. Her husband, John, gave her a .38 Special revolver and a .40 S&W semi-auto. 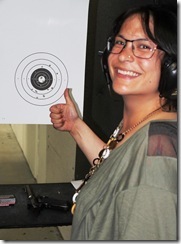 She recently took a NRA class and shot a variety of guns but wasn’t comfortable using a gun for self-defense. This was the main reason for getting the guns in the first place. I put her on a suppressed .22, checked her grip, and had her do some dry fire. Things looked good so I had her shoot a couple of 10 round magazines with it. She shot slow but with good accuracy. 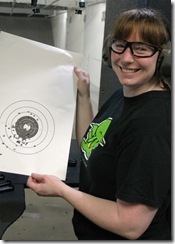 But it was obvious the recoil was far more than what she expected and was comfortable with. She fired a few more shots and they were still very good for a while. This was even though I could tell she wasn’t handling it too well. Then there were the two far low and right. I suggested she take a break and she agreed. She then tried the snub nosed .38. Similar results. 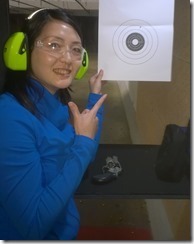 The recoil was just more than she was comfortable with. She said she felt nauseous. I put her on an unsuppressed .22 and had her do double taps and target transitions from a high ready position. At first she said she couldn’t do it. I moved her to about eight feet away and encouraged and coached her. Within about 75 rounds she was doing a double tap in under a second and a transition in about 1.25 seconds with great accuracy. 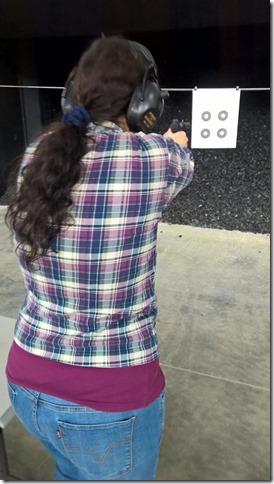 Almost all her shots fit under my hand on the USPSA target in the top of the lower A-Zone. There were no hits on the hostage with its shoulder just below the exposed portion of the bad guy A-Zone area. John and Barb were doing some shooting as I worked mostly with Cherie. When John tried the double taps and target transitions he had several hits on the hostage including one directly in the center of the neck. Not good. We teased him some about that as we all tried the same exercise and he was the only one shooting the hostage once every 10 rounds or so. After we wrapped up at the range we went to Barb’s house for dinner and I showed Cherie how to pie a corner and shoot around the corner with a plastic training gun. We talked about where to go from here because the centerfire guns just aren’t working for her. We should review her notes on the guns she shot in the NRA class and see if we can learn anything from that. And we probably will go back to the range sometime and try some .380 and 9mm guns. 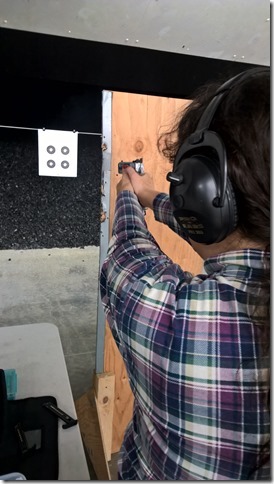 But I expect the best approach will be to spend a lot of time with a .22 so that she can feel totally at ease with gun handling and accomplishing various self-defense tasks. I want her to be able to do those sort of things almost “on auto-pilot” under stress and perhaps by then, with only the recoil issue to address, she can work on shooting with one of the centerfire guns she already has. Yesterday, as you might imagine, there was quite a bit of talk at work about the shooting in San Bernardino. Two different people who I barely know and seldom see wanted to talk guns with me. Usually I might get one or two conversations a month. One was a middle-aged woman who lives alone. 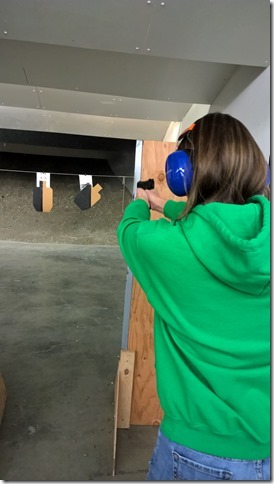 She wanted to take a shooting class to prepare for home defense. She had done a fair amount of shooting growing up but had never taken any classes. Her boyfriend has quite a bit of rifle shooting but no handgun shooting. They both wanted to take a handgun class or two. 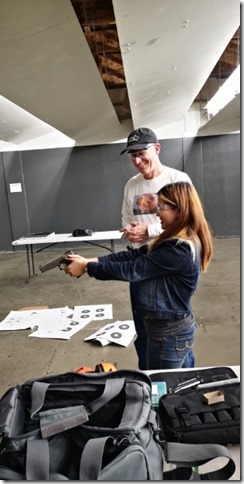 I referred her to West Coast Armory and Insights Training. And suggested the specific classes I thought would be appropriate for their skill levels. The second person was a young guy. He owns at least three guns and has a concealed carry permit. He had just got a new gun and it was shooting to a much different point of aim than his carry gun. He couldn’t figure out why it was so different. I figured I knew what the problem was but didn’t want to tell him until I knew for certain. I offered to take him to the range and look at his guns with him and figure out the problem. He brought the guns to work (left in his car, yes, our parking lot is an okay place for guns) and at lunch time we went to the range to do some tests. Okay. I know what the problem is, but need him to figure it out on his own. I asked him to shoot a few rounds with his carry gun. The 9mm holes above are the result. He agreed and had him shoot my .22. 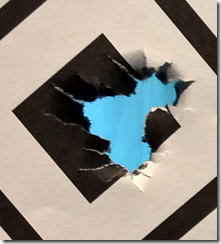 The .22 holes mixed with .45 holes in the target above where the result. The first one was the one low and to the left. The rest were in on very close to the diamond. Much better. But I knew he could do better still. The first half dozen “shots” resulted in the muzzle of the gun dipping down as the hammer fell. He got it under control and after he had “fired” probably 20 in a row holding it rock steady I told him I was going to either have a live round in the chamber for him or it might be empty. He again had a steady muzzle for five or six rounds before I put a live one in the chamber. It was on target. More empties and another live one. Again on target. He asked about how to aim. I explained and he said that because his guns always shot lower than than that he would always aim a little higher than what I suggested. 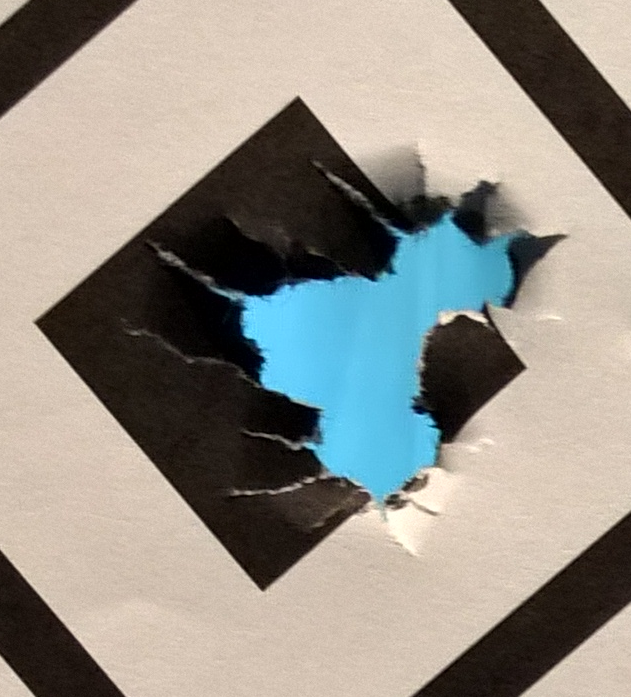 He tried aiming as I suggested and the hole at 9:00 on the target above was the result. Close enough. I told him to go home and do lots of dry fire exercises before going to the range again. And consider getting a .22 to practice with. It will take a while to get the bad habit out of his trigger finger and dry firing 10 rounds for every one live round is what my instructors recommend. As we left I pointed out the Insights Training flyers in the hallway to the ranges and he and I both picked up a few. He seemed very interested in taking a class and thanked me for helping him. We went back to work where I gave the flyers I had picked up to the woman I had talked to yesterday and I figured I had done my good deeds for the day. Changing our culture. One new shooter at a time. 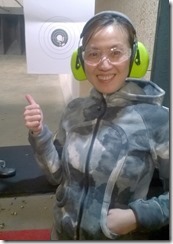 Several months ago Joycie expressed an interest in learning to shoot a gun. She had a couple scary incidents. One where she thought someone was in her house and another incident where a suspicious person was in her backyard. They did the paperwork with the range, got the range safety briefing. We then walked through the normal range with stalls about half full of people shooting. Joycie jumped every shot fired but made it through to the training bay without chickening out. There we took off our hearing protection set up a table about 15 feet from the target line. I’ve only one other student who was more nervous. It was really too close for the scoped rifle, the target was just a little bit blurry, and the hits were an inch or so low from the point of aim. But these were new shooters and I wanted to make sure they could hit the paper without difficulty. They both did great with it. Michael had no problems with it but it took Joycie a while to get the hang of getting both sights lined up on the target. 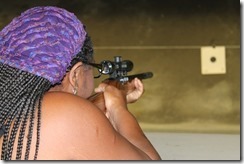 With no suppressor and such a light gun even the recoil from the .22 was intimidating to Joycie. She was able to settle down enough to get good hits by sitting at the table. 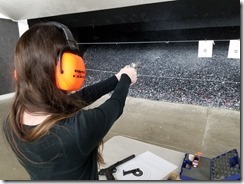 We were running out of time and I gave her the option of a 9mm or .40 S&W pistol or an AR-15. Joycie asked if the AR-15 was an Uzi and if it would shoot out all the bullets one after the other. I smiled and told her no. It was an AR-15 and it shot one bullet for each pull of the trigger just like the other guns she had been shooting. She chose the AR-15. 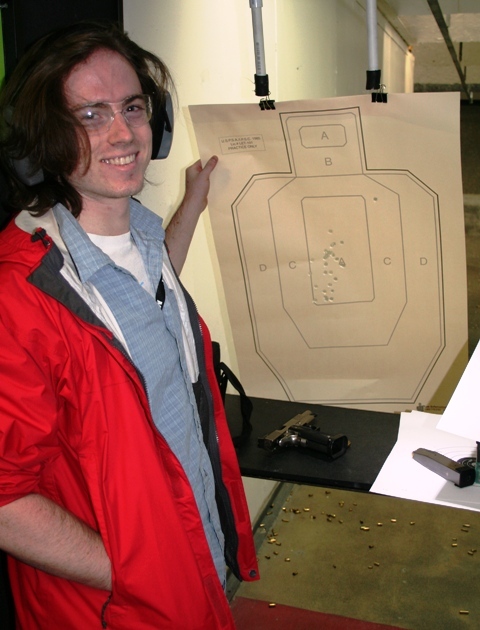 Michael emptied a 30 round magazine with excellent hits in probably two or three minutes. We were very short on time and Joycie fired maybe five rounds with decent hits before we had to pack up and leave before they locked the doors on us. Joycie also wants to see what competition is like and may show up to watch a pistol match sometime soon. Barb’s nephew Jeff wanted to learn to shoot so Barb reserved the training bay at the local indoor range and I brought a bunch of guns and ammo. I started him out with the safety rules, then grip, stance, sight alignment, trigger prep, squeeze, follow through, and finally dry fire. 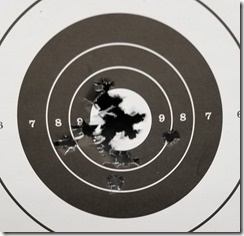 Once he had that all working pretty good he shot a .22 scoped rifle with a suppresser. 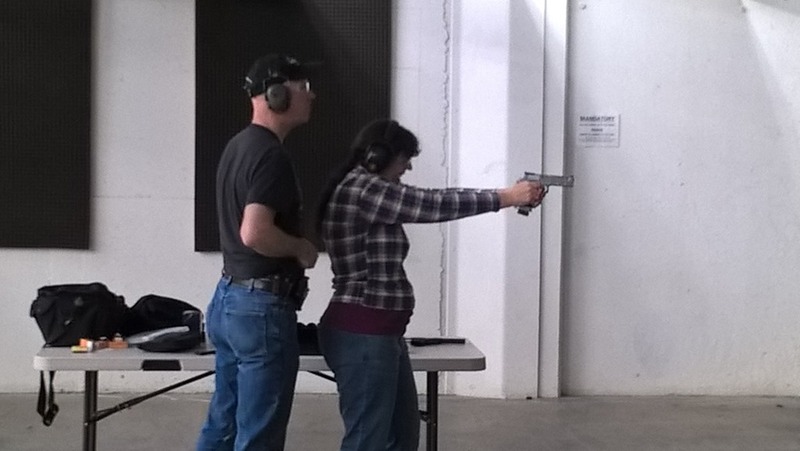 Then it was the Ruger 22/45 while sitting, then while standing. Then the AR-15. And finally the Ruger P-89 (9mm). [We have suspected this for some time now. The anti-gun people are just so dense they could be replaced with a bot without any degradation in perceived intelligibility.